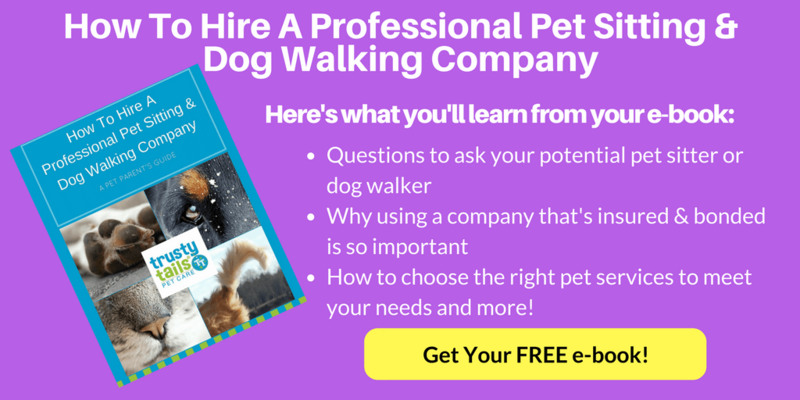 You are here: Home / Hiring a Dog Walker / Where Will Trusty Tails Walk My Dog? When it comes down to it, taking a dog out for a walk is often less about where you need to go and more of where he wants to go. Have you tried running errands with a stubborn dog in tow, or perhaps one with too much energy? You need to stop at the post office, dry cleaners, and the bank, but all he wants is to go and play in the park, chasing balls and sniffing bushes…well, those bills will get in the mail tomorrow, right? That’s the beauty of having a great career dog walker: they take your pup out on the walk he wants to go on so that he can enjoy his time outside. Good dog walkers listen when their dog “talks,” so to speak, and we don’t mean barking excitedly when you walk through the door. You can easily tell where a dog wants to go if you pay attention; he may pull or simply look in one direction that he’d like to head towards, or hesitate to walk a certain way until you start moving where he wants to go. While out, we always stay in safe areas around your neighborhood with your dog, allowing him to lead the way unless we see good reason not to (for example, a large pack of dogs approaching us from the other direction, dangerous conditions on the walkway, or a stray animal loose ahead). You can request a certain route for us to take your dog as well, and we’ll do our best to keep to it if you’d like. It’s always especially entertaining to follow a puppy when they’re allowed to choose their own way and explore – everything is fascinating and worth a sniff! Depending on the weather and time of day, we may walk through a public park or along a river to give your dog some exposure to a less urban environment; otherwise, we stick to well-maintained sidewalks and paths. We never allow dogs to investigate private property. Ultimately, dog walks are taken wherever will be most beneficial to the dog. Some are less inclined to walk calmly in heavily trafficked areas, and others prefer grass under their paws instead of pavement. If there’s a place to take a stroll that will make them happiest, then that’s where you’ll find us!